The Yoakum District services the following counties: Austin, Calhoun, Colorado, DeWitt, Fayette, Gonzales, Jackson, Lavaca, Matagorda, Victoria and Wharton. The district designs, builds, operates and maintains the state transportation system across county lines. 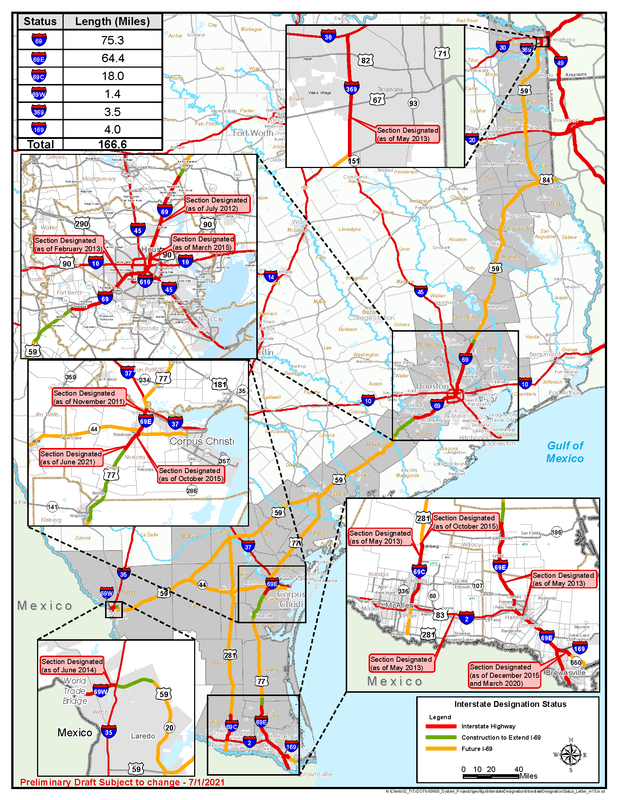 In this district, 1) US Highway 59 from the Fort Bend/Wharton County line to the Victoria/Goliad County line and 2) US Highway 77 from south of Victoria to the Victoria/Refugio County line will be developed to meet interstate standards as part of the I-69 system development.